Some airlines sell bus tickets from Ciampino to Romes train station, Termini. There are several bus companies going from Ciampino to Rome such as Terravision and Sit Busshuttle. See www.terravision.eu and www.sitbusshuttle.it for more information. Tickets for theese departures can be bought in automates inside the arrival area. 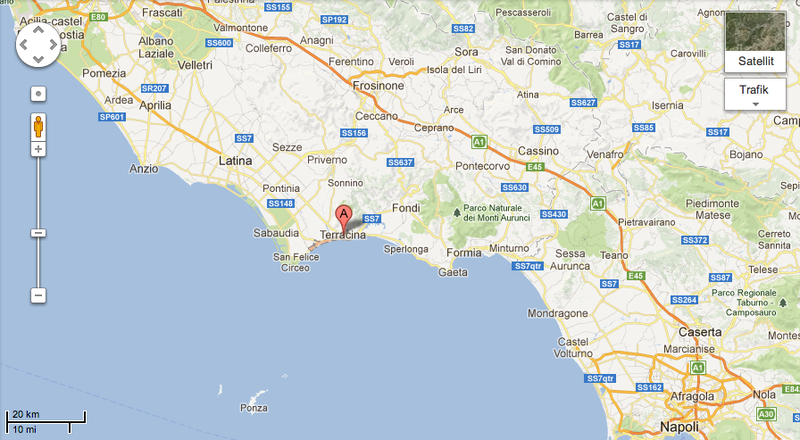 Please see above information on how to continue from Termini to Terracina.